A young boy living in the slums ascends to the golden world above with a special spray that literally makes his skin turn golden. He then rises to become the face of a marketing campaign for a sham of a product called Untruth. Every time he lies his nose gets longer, before his whole web of lies comes untangled and he falls from grace. It's a dark and disturbing take on Pinnochio. This is the plot for a 37 minute long surreal film by artist Rachel Maclean, and it's one of three works in her superb show at Zabludowicz Collection. The first film called 'Spite your face' tackles major contemporary issues such as consumerism, fake news, self-harm, sexual violence, the patriarchy and corruption. It's all set in a surreal fantasy world with dark humour elements, but it's a lot closer to home than we'd like to admit. The young protagonist Pic is helped by a maternal figure to ascend to a wealthier world, but when she challenges him he violently assaults her. Once Pic has achieved fame and fortune he becomes entitled and believes he's indestructible and spending a little only leads to spending more on needless items. The world on screen may look nothing like ours, but it's issues are depressingly reflective of the world we live in. Maclean's second film is equally on point as young pretty women live in a Barbie-like dystopian dream house. They must smile all the time or the computerised eyes will admonish them, or their matronly overseer will choke them using the control panel on her arm. The girls are offered nothing to eat unless they win a competition by resisting food laid out in front of them, even when they win they have to eat the food seductively and then they are classified as a 'good girl'. When a woman fights back for having her bum pinched she is classified as a 'naughty girl'. Vloggers are sent up with one wanting plastic surgery so she can accrue more followers — of course behind the scenes it's a bunch of middle aged white men running the show. The film gets even more politically charged when the women in the film, who have not spoken, finally let loose with all their views on what feminism means as they challenge perceptions of bra burning and choosing what to wear. It's brilliant to see an artist unafraid to wade into an ongoing hot topic of conversation. The final work is a much shorter virtual reality experience and is the funniest of the lot. People with phones for heads come and ask for money to help with their first world problems. A woman wants help to pay the gym membership she's stuck in and a man wants cash for a flat white so he can charge his phone at a Starbucks. 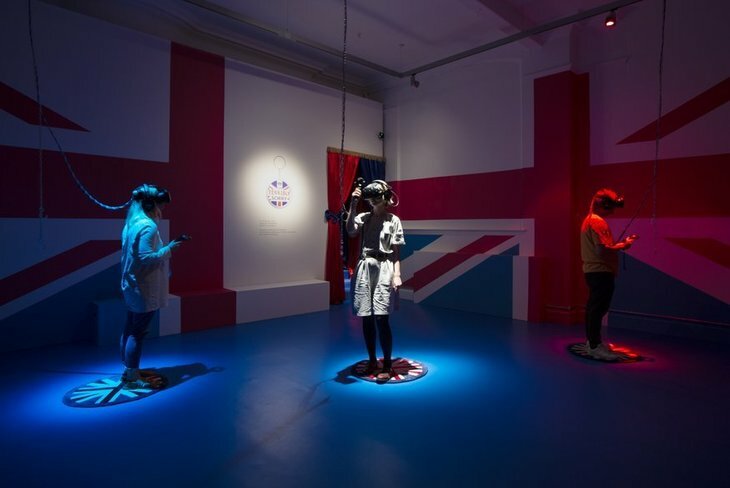 We also get to hold a phone in our hands that turns into a weapon toward the end of the experience — after all it wouldn't be a Rachel Maclean work without a dark twist. We've been massive fans of this artist's work for years and this show only cements how brilliant she is at creating art that engages with issues in the wider world around it. It's not too bold to predict that she has a great shot at being nominated for next year's Turner Prize. 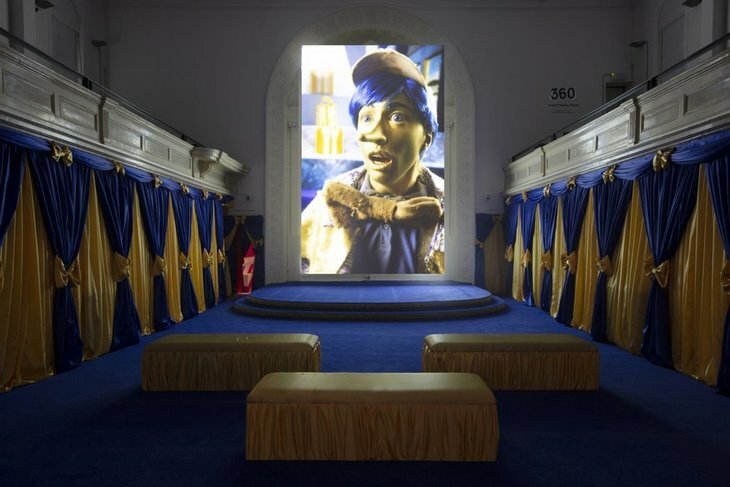 Rachel Maclean is on at Zabludowicz Collection until 16 December. Open Thursdays-Sundays and admission is free. 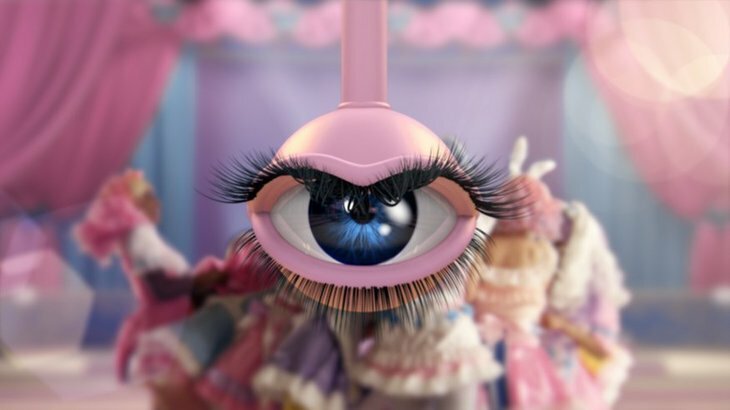 Rachel Maclean also has one work in the Hooked exhibition at Science Gallery and will be showing in November at The National Gallery.